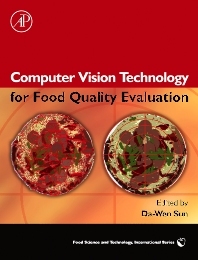 The first book in this rapidly expanding area, Computer Vision Technology for Food Quality Evaluation thoroughly discusses the latest advances in image processing and analysis. Computer vision has attracted much research and development attention in recent years and, as a result, significant scientific and technological advances have been made in quality inspection, classification and evaluation of a wide range of food and agricultural products. This unique work provides engineers and technologists working in research, development, and operations in the food industry with critical, comprehensive and readily accessible information on the art and science of computer vision technology. Undergraduate and postgraduate students and researchers in universities and research institutions will also find this an essential reference source. · Discusses novel technology for recognizing objects and extracting quantitative information from digital images in order to provide objective, rapid, non-contact and non-destructive quality evaluation. · International authors with both academic and professional credentials address in detail one aspect of the relevant technology per chapter making this ideal for textbook use · Divided into three parts, it begins with an outline of the fundamentals of the technology, followed by full coverage of the application in the most researched areas of meats and other foods, fruits, vegetables and grains. The engineer and technologist working in research, development and operations in the food industry as well as undergraduates, postgraduates and researchers in these areas.